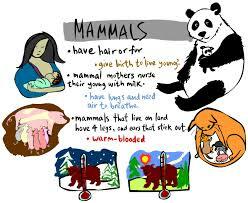 Mammals are one of the 6 main classes of animals. 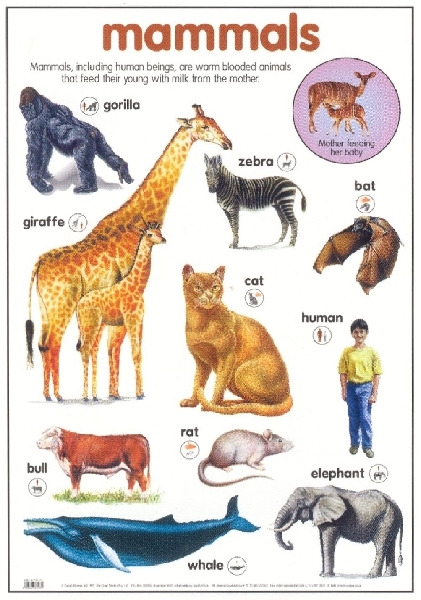 Animal classes are groups of animals that scientists consider to be alike in some important ways. There are only about 4,000 kinds of mammals. This sounds like a lot, but when you consider there are 21,000 kinds of fish and a whopping 800,000 kinds of insects you’ll realize mammals are a pretty small class! Mammals are the animal class that people belong to. The smallest mammal is the hog-nosed bat, which weighs 0.05 ounces. The largest is the blue whale, which can be 100 feet long and weigh 150 tons. 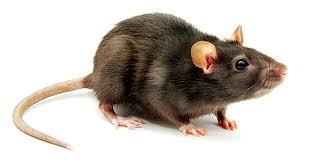 But whether they live on land or water, all mammals share some common characteristics. 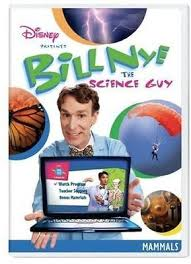 Are vertebrates (which means they have a backbone or spine). Are endothermic. Also known as “warm-blooded,” endothermic animals regulate their own body temperate which allows them to live in almost every climate on Earth. Have hair on their bodies. Produce milk to feed their babies. This allows them to spend more time with their young and teach them important skills they need to survive on their own.